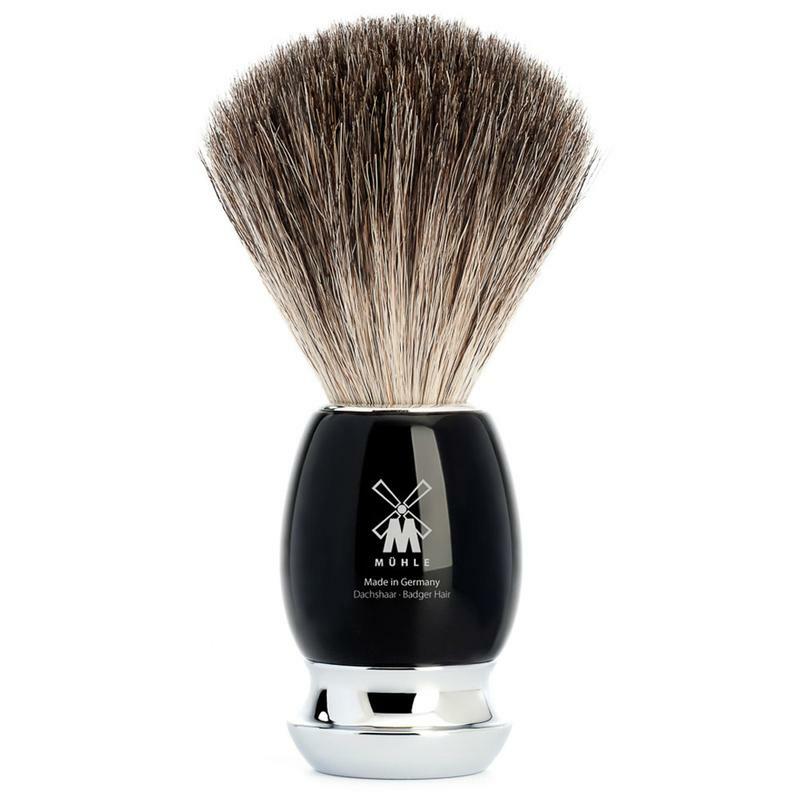 This 4 piece set is going to give any manscaping station the classiest look around. 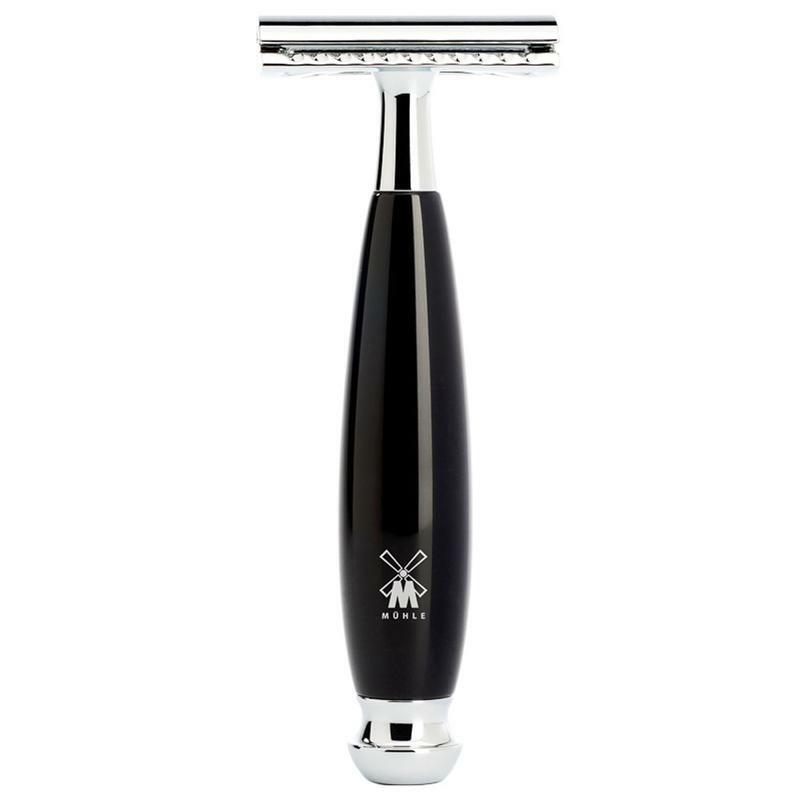 Get those beard lines along the neck and cheeks tight and looking great, or that clean shave feeling if that’s what you’re into with this classic double-edged safety razor set from Muhle. It features a closed comb double edge safety razor which is perfect for beginners and experienced users alike. 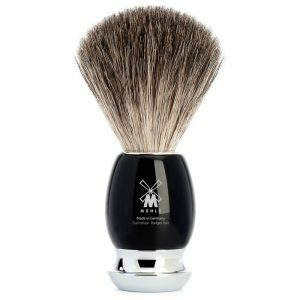 A pure badger shaving brush, which if you don’t know provides an awesome manly massage to the area as you apply your shave cream or soap as well as a shaving bowl and all housed together in the classy stand unit. 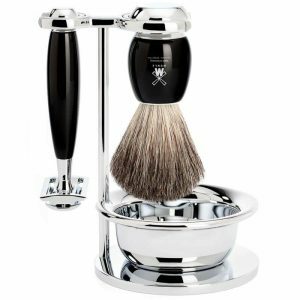 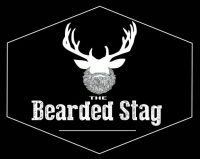 The safety razor with its toothed foam edge is predestined for men with a denser, stronger beard growth or for those who prefer to sport three-day stubble.